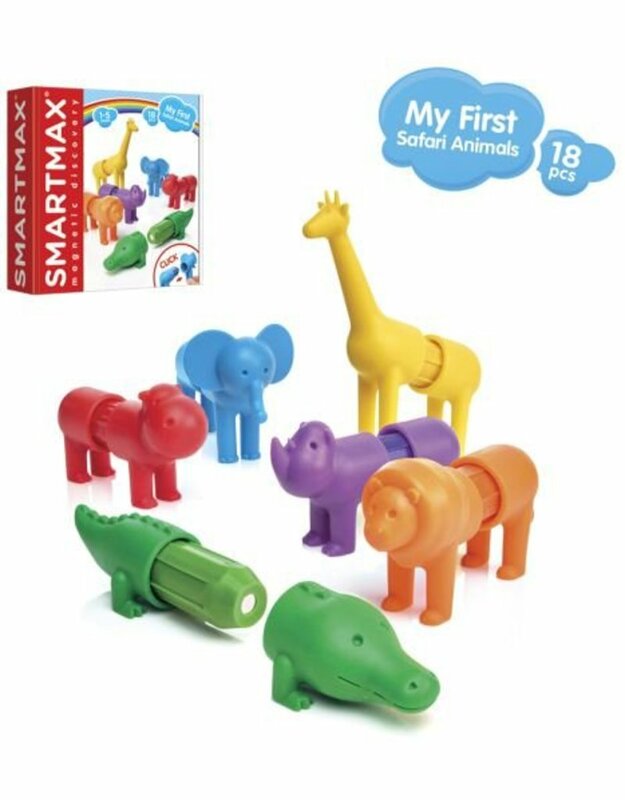 The very small can discover the magic of magnetism in a safe form with the collection SMARTMAX® My first safari animals. The pieces have different forms of animals, soft and extra big, fits easily in the bars. Ride 6 safari animals or mix the pieces for creating new crazy creaturs! All pieces go together with other SMARTMAX® products.